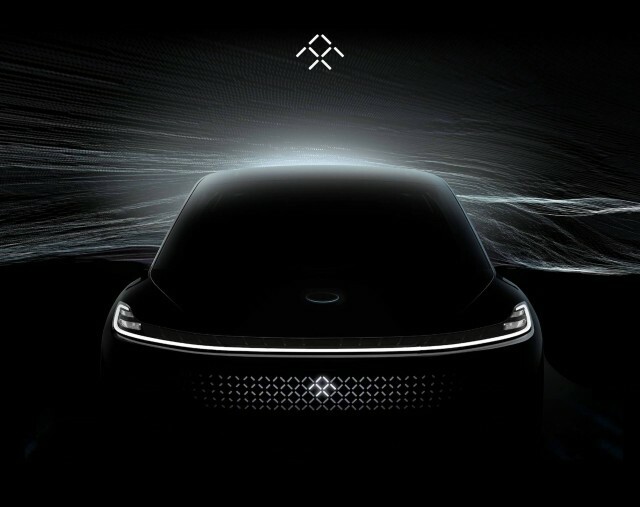 Just weeks out from the debut of its first model at the 2017 Consumer Electronics Show, electric car startup Faraday Future has released a video that shows the car taking on the Bentley Bentayga, Ferrari [NYSE:RACE] 488 GTB and Tesla [NSDQ:TSLA] Model X P100D in a series of drag races. FF is holding back on how quick its car actually is but the video reveals that the car, a minivan-like model similar in size to the Model X, accelerates quicker than all of the rival models mentioned. The Model X P100D is the quickest of the rivals, requiring just 2.9 seconds to reach 60 mph, so we can assume FF’s car needs even less time to achieve the same feat. Interestingly, FF didn’t pit its car against Tesla’s Model S P100D. The handsome electric sedan is the quickest car to 60 mph in production right now, needing just 2.4 seconds to achieve the feat, so perhaps Tesla still has the edge in that regard—though fellow electric car company Lucid and its 1,000-horsepower Air could certainly shake things up. But getting back to FF’s car, we’re yet to receive any performance specs though we know they’ll be substantial. The car’s platform, known as the VPA, was first shown in a concept boasting a 1,000-horsepower output. FF is also claiming the world’s highest energy density automotive batteries. FF says it will show its car for the first time on January 3, 2017, with the official debut to take place two days later at CES. Unfortunately, it might be some time until production actually starts. One of the company’s key backers, Chinese tech giant LeEco, is short on cash and this will likely cause production delays. FF has previously hinted at a production start date in 2017. DJI Mavic Air vs Mavic Pro: which foldable drone is better?